jim henson – Sunshine. Whimsy. Tacos. 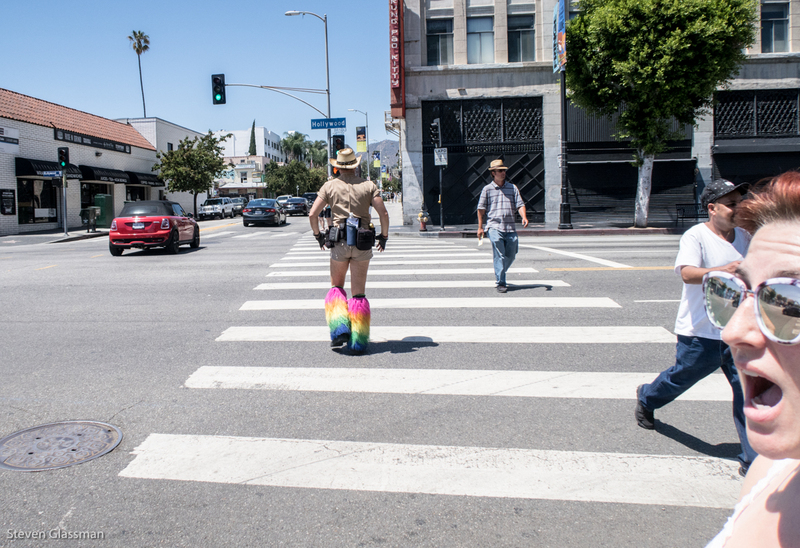 This is the fourth of seven Los Angeles posts, so we’re halfway done! 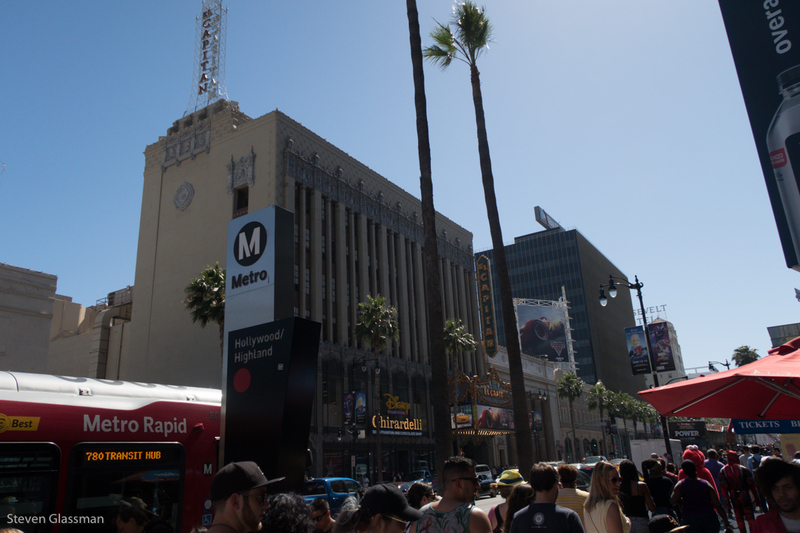 This is also the most touristy of all the posts, because everything in Hollywood is geared toward tourism. 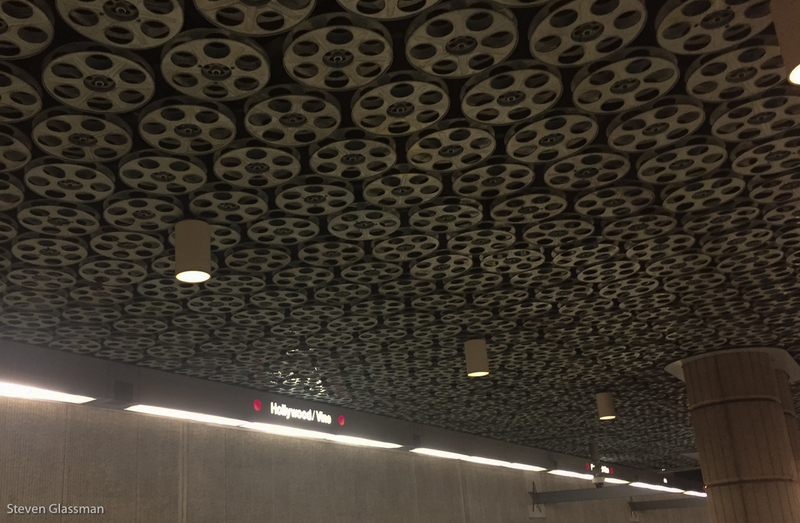 Even the Metro station at Hollywood and Vine is kind of glitzy, with movie reels lining the ceiling, and old projectors and cameras on display. Here’s a close-up of the movie reel ceiling. 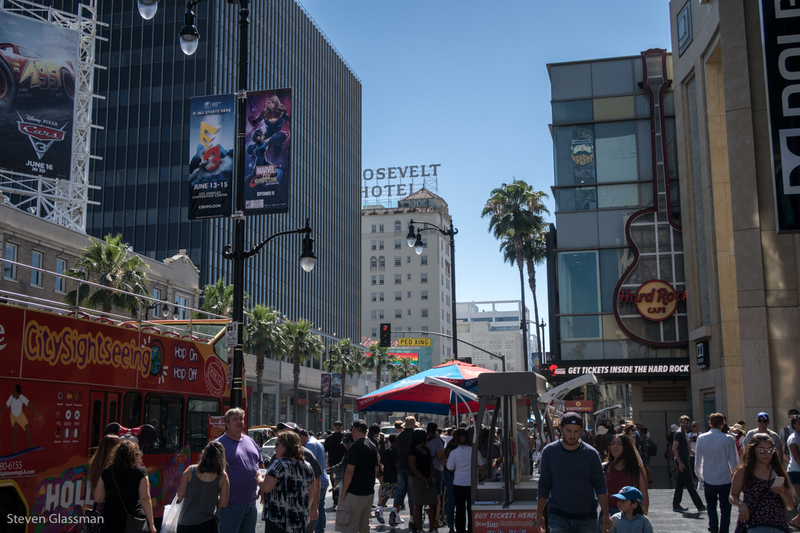 During our walk around Hollywood, we ducked into a place for lunch and a cool drink. 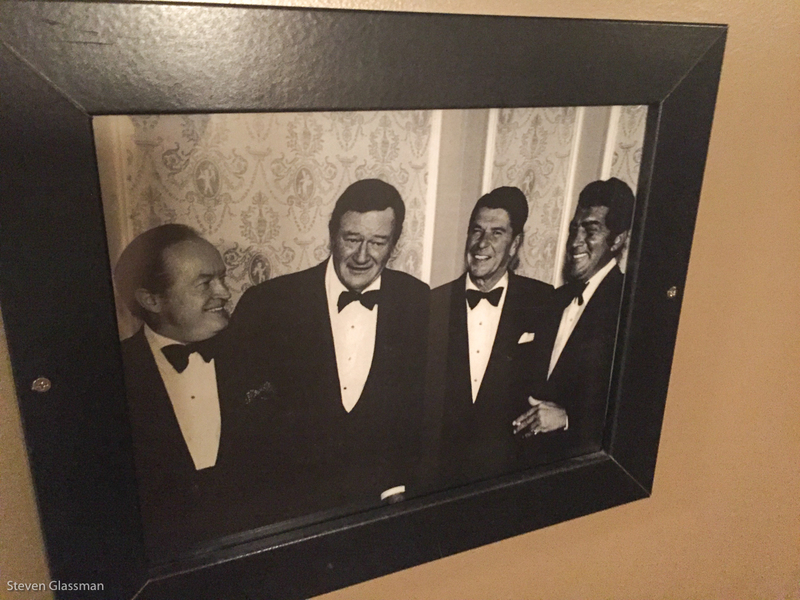 I cannot for the life of me remember the name of the restaurant, but this amazing photograph was just hanging out casually near the bathroom. 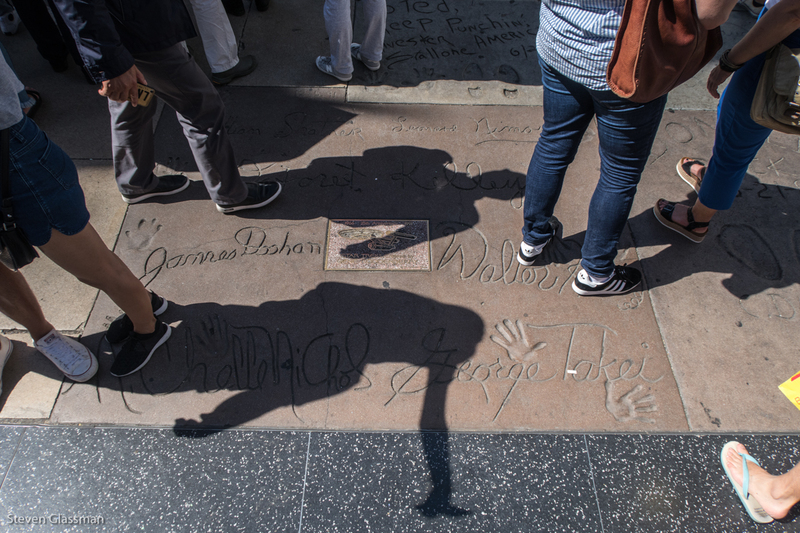 Before this trip, I always thought that the Walk of Fame with all the stars was in one concentrated section of Hollywood. Now that I’ve been there, I realize that it’s much bigger than that. 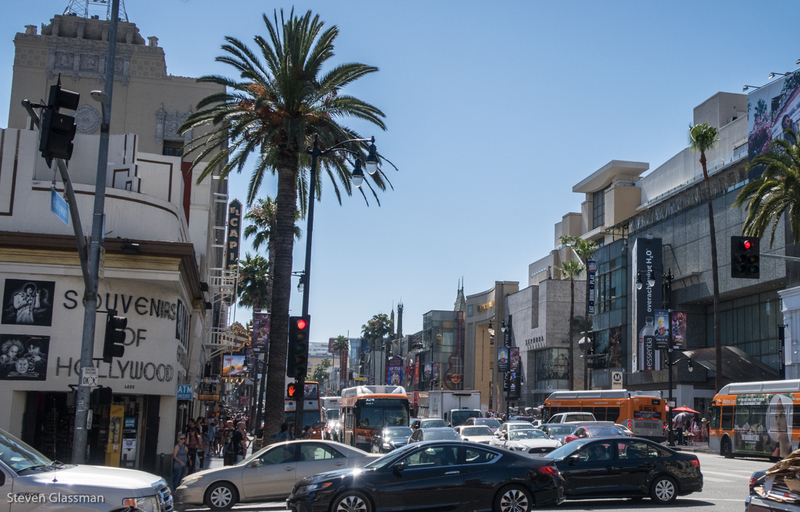 The Walk of Fame stars are spread out over fifteen blocks of Hollywood Boulevard and a few blocks of Vine. There are more than 2,600 stars, and I took more than a hundred photos of individual stars. I’m only going to post two, though, because a few dozen of these would get old real fast. 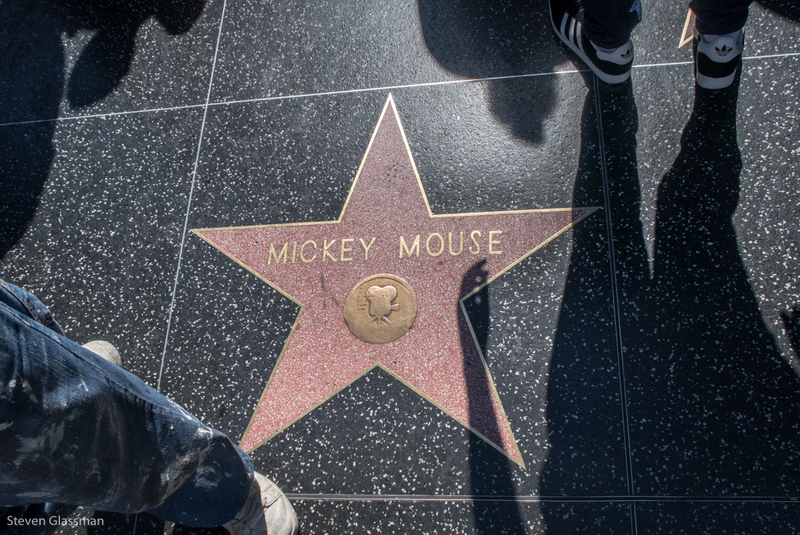 Mickey was the first animated character to get a star, in 1978. 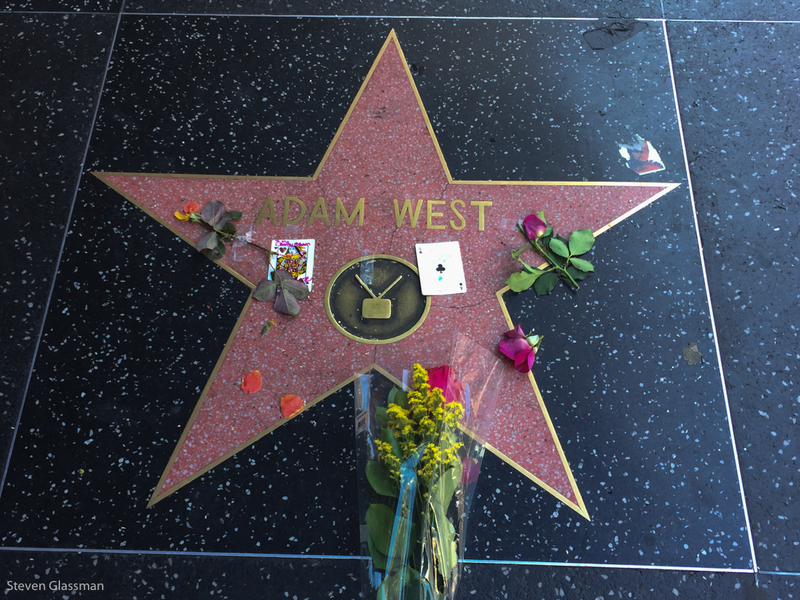 This was just a few days after the passing of Adam West, and people were stopping by his star to leave playing cards and flowers. ::sniff:: His star is a relatively recent addition, only being placed there in 2012. 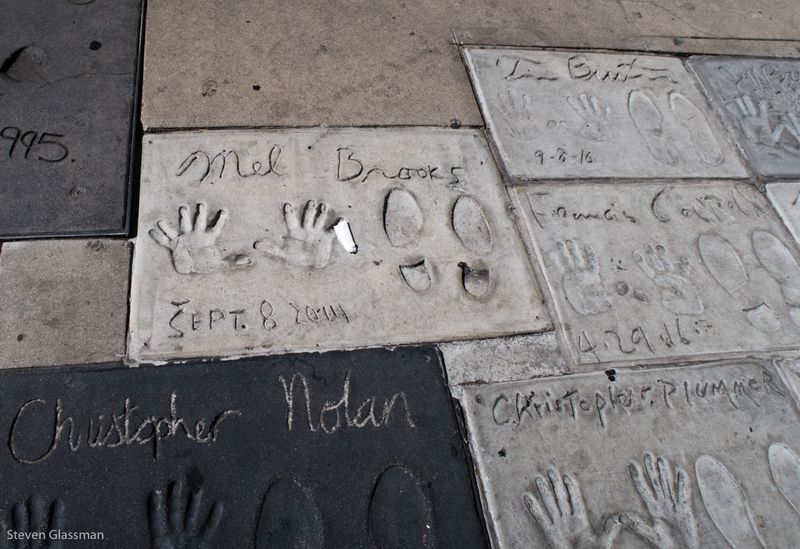 I was pleased to see that it was right next to Bob Kane‘s star, though. We also saw this on our walk. The place is enormous. And terrifying. The only thing better than this guy’s leggings are Wendy’s reaction to him. This is when we started to get close to the major touristy stuff. You can see the peak of Grauman’s Chinese Theatre here. More on that further down this post. More tourism to scope out. 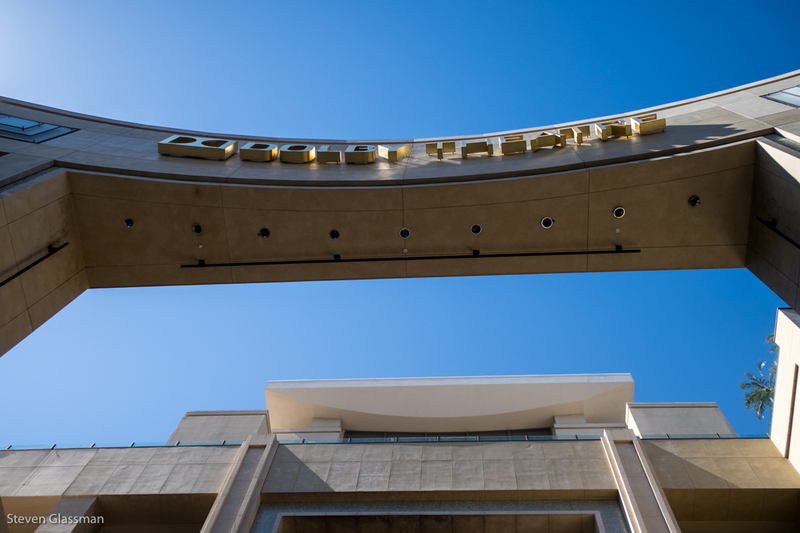 I was underneath the archway of the Dolby Theatre before I even knew it. The Dolby (formerly known as the Kodak Theatre) is where they host the Academy Awards, among other things. In the daytime in the middle of June, though, it’s just another big sign. 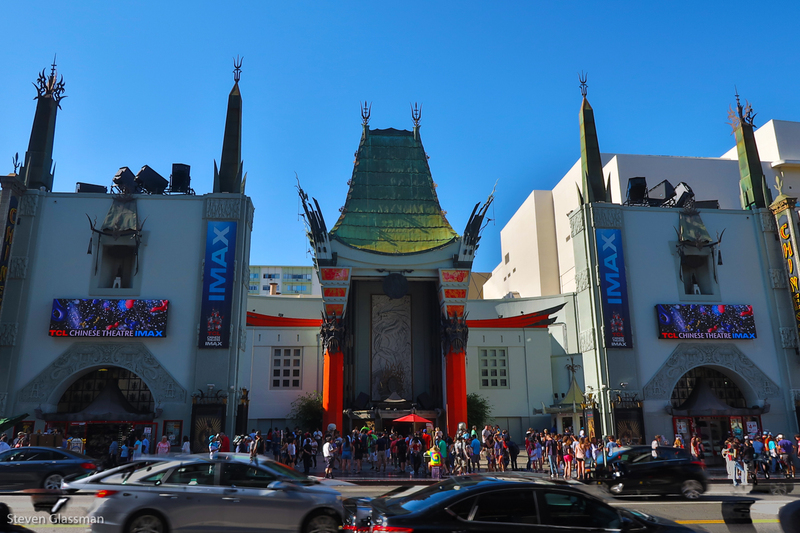 When you get a little closer to the Chinese Theatre, you can see the construction is actually very beautiful. 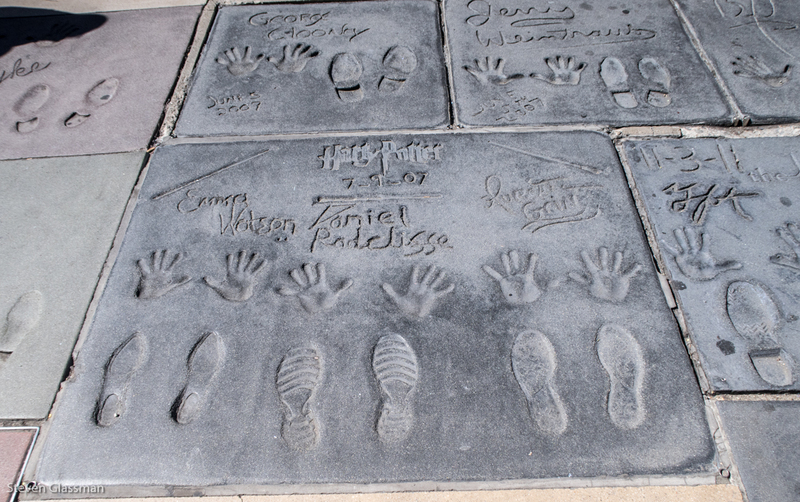 This is where the concrete hand and footprints are so famously imprinted. One of the first tiles we saw was this one, with the entire original Star Trek cast present. 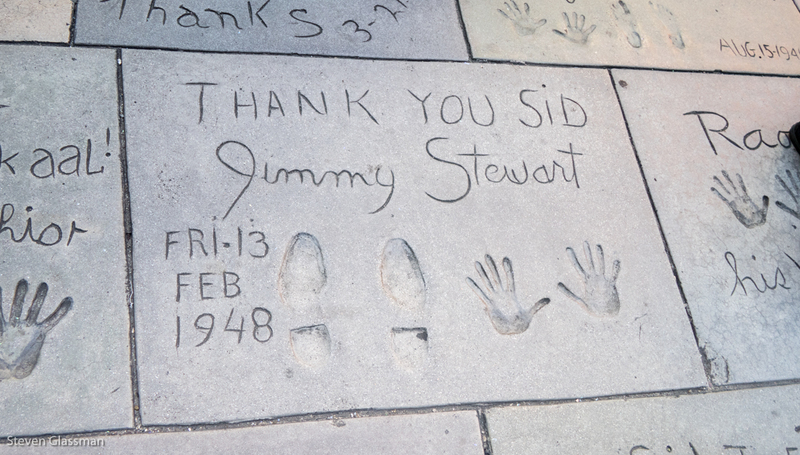 I didn’t take pictures of too many of these, but I liked seeing Jimmy Stewart. The three leads of the Harry Potter film franchise, hanging out right near Clooney. And there was a giant panel off to the side with the cast of Twilight. 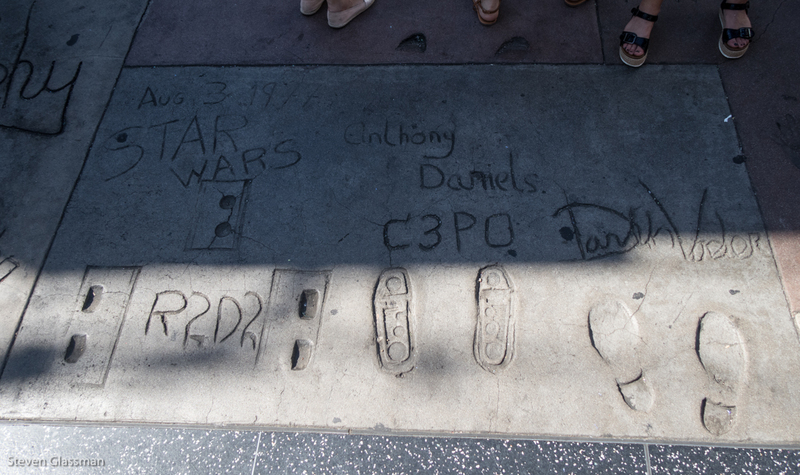 The staff of the Chinese Theatre sells a map to where each celebrity has made their mark, but if you ask nicely they will help you find a single tile. I was specifically looking for the Droids, and they kindly pointed me toward the front, where they made their mark along with a certain Sith-lord. The last picture in this post was not from the same day as the Walk of Fame and the Chinese Theatre. This picture was taken on the same day as our visit to La Brea. On our way back, we had the Lyft driver pull over so that I could get a picture of the gates to the Jim Henson Company Lot. 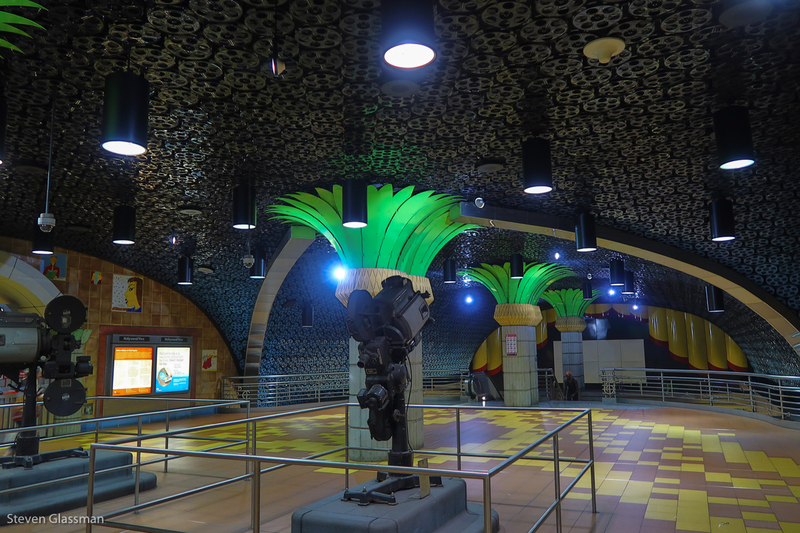 This was originally built in 1917 by Charlie Chaplin. It was Charlie Chaplin Studios first, which is why the twelve-foot Kermit statue on the gate is dressed as The Tramp. The property was sold by Charlie in 1953, and it went through some other identities, including the filming location for The Adventures of Superman in the late 1950s and the headquarters of A&M Records in the 1990s. 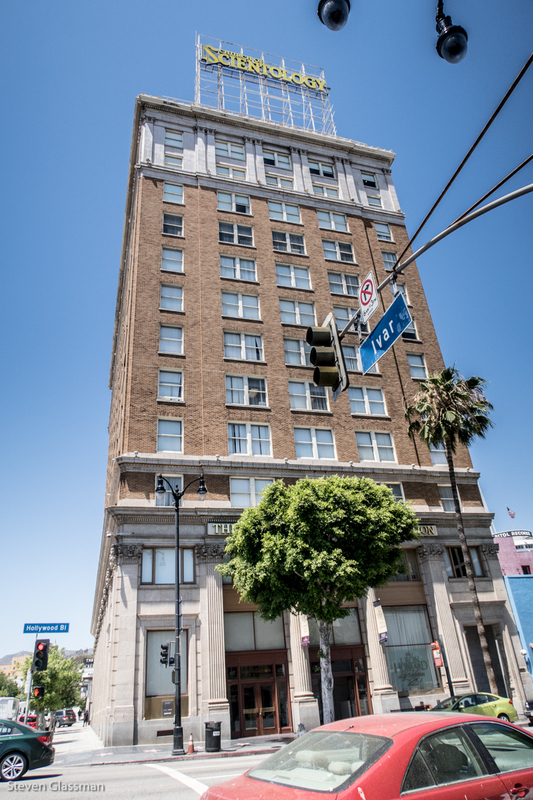 It was acquired by Jim Henson’s children in 2000 to be their new headquarters, and was even seen as the abandoned Muppet Studios in the 2011 Muppets movie. 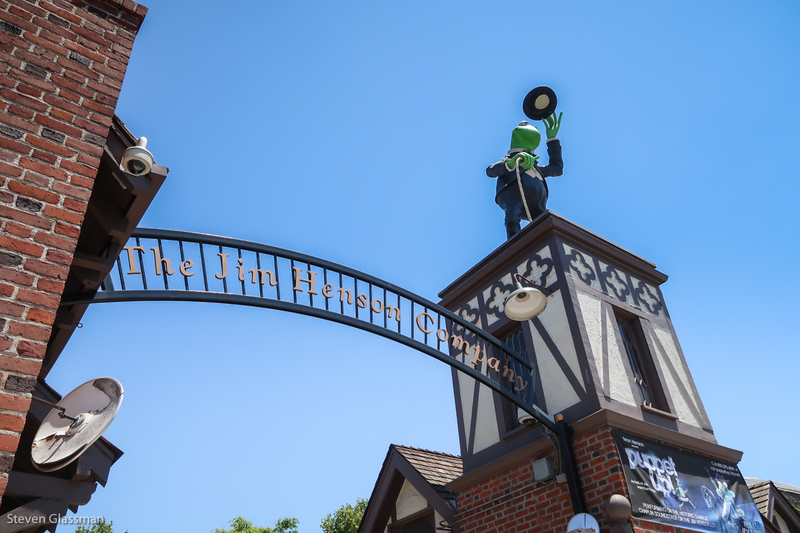 You can’t really just visit the Jim Henson Company as a tourist, but I couldn’t resist taking a minute to stop and look at the front gate.